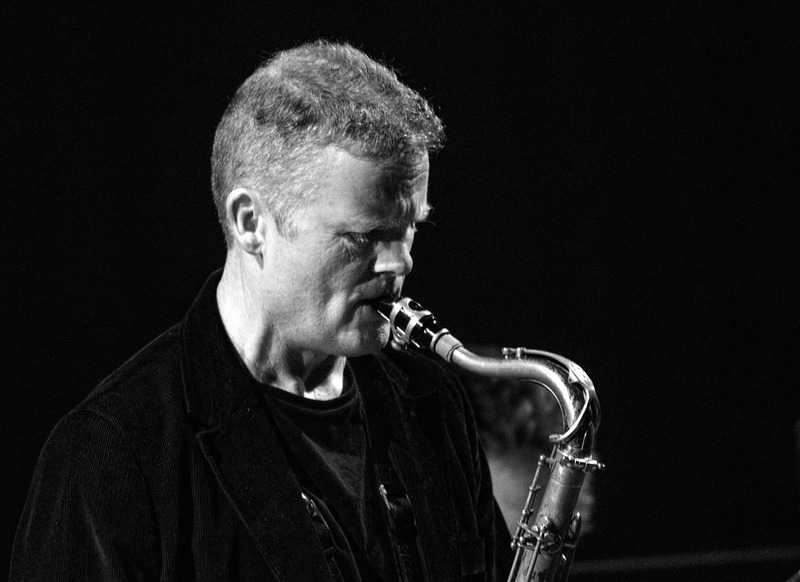 IAIN BALLAMY is an outstanding and original musician, one of the Britain’s most widely acclaimed saxophonists and jazz composers. His work is eclectic, contemporary and un-encumbered by formality and tradition. He transcends musical genres and forges strong relationships with musicians around the globe, notably in Scandinavia. The group Food which he co-formed with Thomas Stronen is signed to ECM records; he also leads the Anorak quartet featuring Gareth Williams on piano, and continues to tour and record with the virtuoso Norwegian button accordionist Stian Carstensen as a duo known as The Little Radio. The trio Quercus, which he co-leads with pianist Huw Warren, features the legendary folk singer June Tabor. Highlights of a career spanning nearly 30 years include working with Loose Tubes, Bill Bruford’s Earthworks, Hermeto Pascoal, Django Bates, Kenny Werner, Gil Evans, George Coleman, The Karnataka college of percussion, John Taylor, Ian Shaw, Claire Martin, The Britten Sinfonia, Gay Dad, Everything but the Girl, Guy Chambers, Mike Gibbs, Carla Bley, John Dankworth, and many more. Iain is also a consultant tutor at The Royal Academy of Music and the Royal Welsh College of Music and Drama in Cardiff.